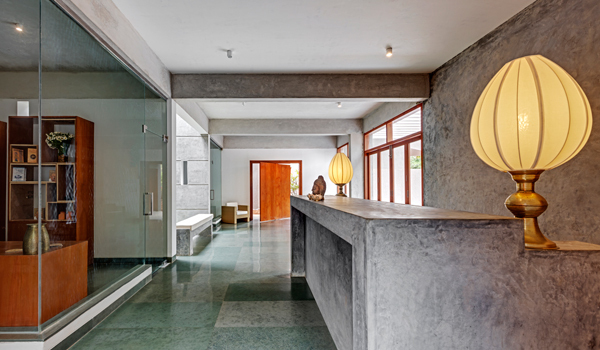 When it comes to spa retreats in India, few shine as brightly as Shreyas. 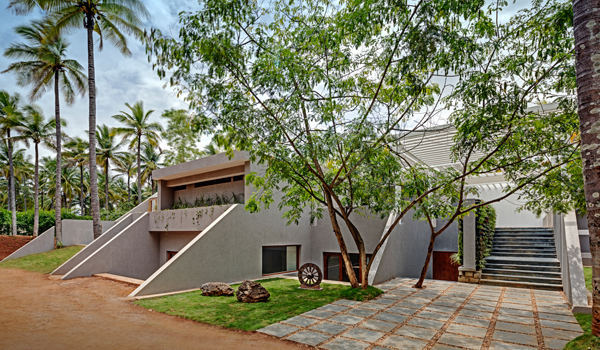 Located in a gorgeously rural tract of southern Karnataka, just outside of Bangalore, Shreyas—which means “all-round excellence”—has earned acclaim for its stylish facilities, individualised yoga offerings, and healing Ayurvedic programme. Now, the Relais & Chateaux venue has just unveiled the newest addition to its retreat: the sprawling Anaha Spa. 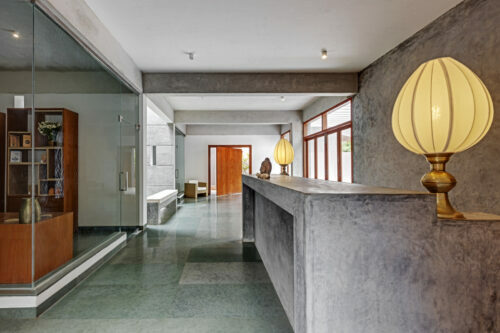 Designed as an oasis-like “retreat within a retreat,” it was also named the Best Boutique Spa in India at last year’s Outlook Traveller Boutique Hotel Awards. To learn more about its array of wellness options—and just what makes this Indian spa retreat perfect for yoga lovers—we caught up with Shreyas’s Nidhe Sood. Greaves: Tell us about Shreyas’s history. What inspired the owners to first establish the retreat? Nidhe Sood: ‘Shreyas was founded by an investment banker, Pawan Malik, who believed that success in the adrenaline-charged, stressful world of modern business could be complemented by yoga. As a qualified yoga teacher himself, his conviction that spirituality and self-discovery are essential in modern life helped lay the foundation for Shreyas. 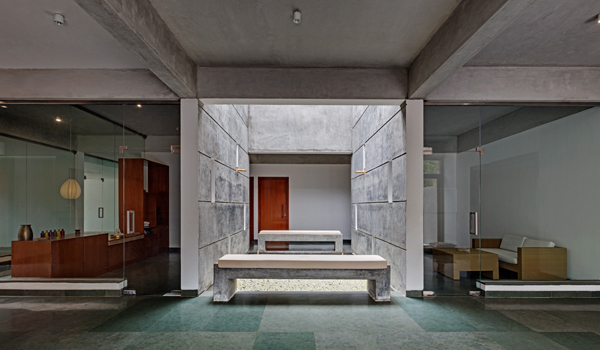 Shreyas is located outside of Bangalore in southern Karnataka. What makes this part of India special? ‘Shreyas is set in the countryside beyond the city, and away from the typical tourist circuit – it’s an ideal location for guests looking to recharge their batteries and unwind in a secluded environment. We’re surrounded by rural villages and brightly painted temples, and are also within reach of a number of places of historic importance and natural beauty: Hampi, Mysore, Halebidu, Coorg, Kerala, etc. What is Shreyas’s wellness manifesto? ‘Athithi devo bhava is the defining philosophy at Shreyas. It literally means: “A guest is to be served as God.” We respect the philosophy that “all are essentially divine,” and our relationships with each other should reflect this. What is the yoga programme like at Shreyas? Which different styles of yoga do you offer? ‘Yoga at Shreyas is much more than the traditional physical postures; it also has a highly spiritual component. Both Hatha Yoga (which aims at harmonising the prana—life force—in the body) and Ashtanga Vinyasa Yoga (which consists of carefully sequenced and flowing postures) are practiced at Shreyas. Guests have the option to participate in our complimentary, twice-daily yoga sessions, or enjoy personalised yoga experiences that are included in our packages. Our yoga offerings also feature pranyama (breathing related) and pratyahara (internalisation) processes drawn from the ancient Yoga Sutras. 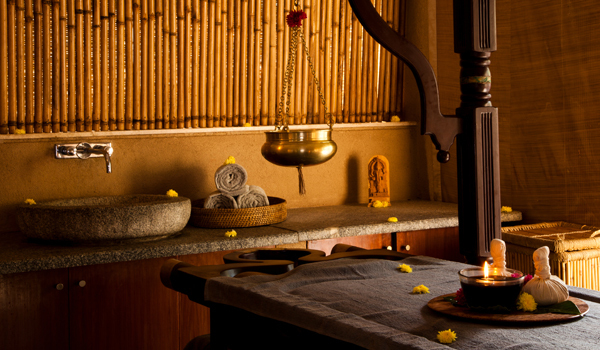 Can you tell us more about Panchakarma and the other Ayurvedic treatments available at Shreyas? 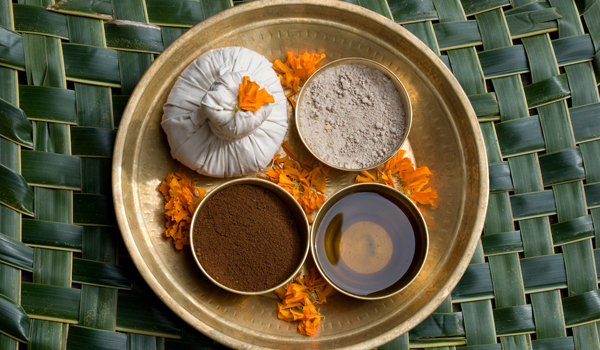 ‘Originating some 5,000 years ago, Ayurveda is the oldest healthcare system in the world. But it is more than a system of healing – it is also a science and art of living that helps us to achieve health and longevity. It emphasises preventative and healing therapies along with various methods of purification and rejuvenation. At Shreyas, all treatments are authentic, traditional, and highly individualised. 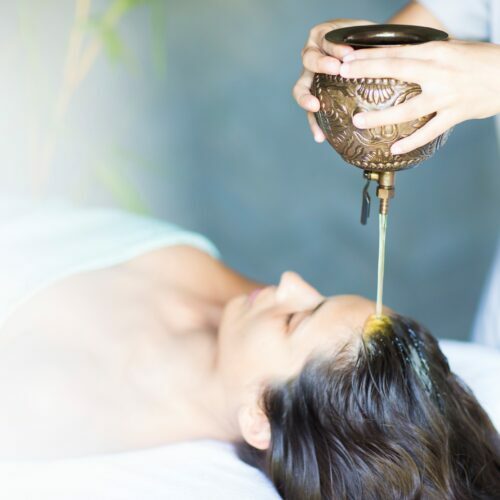 Panchakarma is an integral part of Ayurveda, which helps achieve a balanced state of body, mind and consciousness through detoxification and rejuvenation. For guests who’ve never tried Ayurveda before, what are some important things to know? ‘The most important tenet of Ayurveda is achieving a state of balance between mind, body, and spirit. Ayurveda believes diseases are caused when this balance is disturbed – therefore, this holistic healing system doesn’t address the symptoms of a disease. Instead, it goes to the root causes and seeks to restore balance. As such, Ayurveda is highly personalised, as each person’s imbalance is unique. Alongside the wellness offerings, what are the most tantalising luxuries available at Shreyas? ‘Shreyas accommodates just 25 guests at one time, which affords the rare luxury of being cared for in a secluded, private and serene environment. Belying the idea that a yoga retreat means roughing it, cottages at Shreyas are built for comfort; we have eight garden cottages with tented canopies, open-air shower rooms and private courtyards, as well as three poolside cottages and one three-bedroom cottage. You recently won an award for Best Boutique Spa in India. 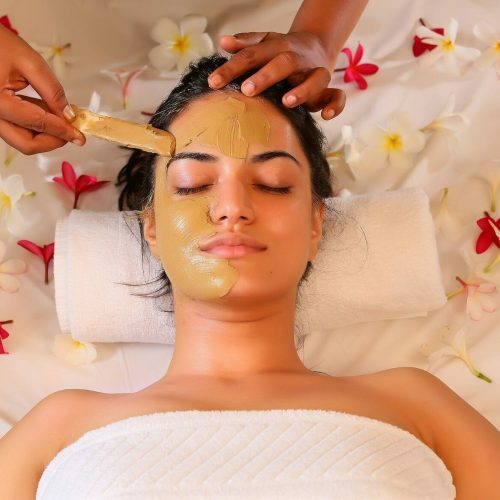 What is it that makes Shreyas’s spa different from the rest? ‘Our brand new spa, Anaha, is designed to be a “retreat within a retreat.” From age-old Ayurvedic treatments to modern therapies, from naturopathy to a wide range of massages, Anaha provides a wealth of wellness experiences. 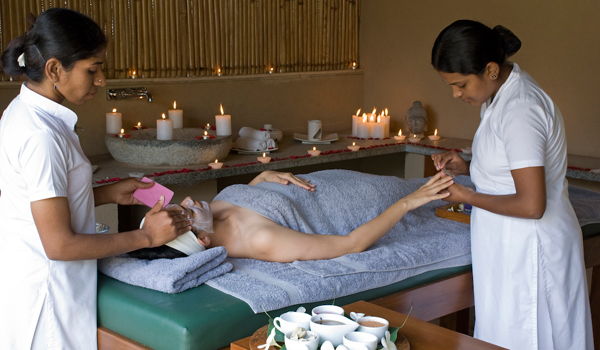 Beyond Ayurveda, what other treatments and programmes are available at the Anaha Spa? 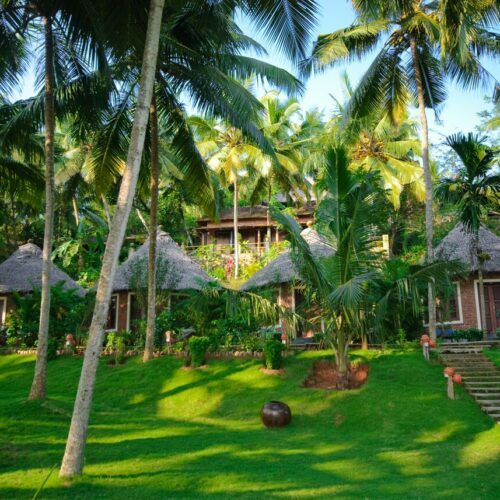 ‘In addition to Ayurveda and panchakarma, the spa also has four rooms dedicated to Western massages, two rooms for mud therapy and Thai massage, and a separate naturopathy section with three rooms for hydrotherapy, acupressure and acupuncture. Other treatments and offerings include a spinal spray, hipbath Jacuzzi with hydro jets, colon hydrotherapy, steam and sauna rooms and a Vichy shower. The spa also features a gymnasium and yoga and meditation pavilions. Outside, the spa includes meditation areas, a salon and gymnasium connected with sunken courts and open lounge spaces. We will also be adding a reflexology path and herb garden, which allows guests to interact with nature.